Ready or Not, Pinktober’s Here! I’ve been fluctuating between wanting to be quiet during October which is of course, Breast Cancer Awareness Month, or trying to “rev things up” a notch. I’m still not exactly sure where October Pinktober will lead me. Stay tuned. It seems like I should have some profound post planned as October begins. I’m certainly eager to read words of wisdom from fellow bloggers all month. As for me, I have nothing profound to offer today, just more questions. Recently someone said to me, I’m paraphrasing here, you bloggers need to be careful not to alienate people about pink. Most people are just trying to do the right thing. Most people are just trying to do something. Whenever I write a post I always try to bear this in mind. It is never my intention to put anyone down for buying pink stuff, wearing pink ribbons, running in races or donating to their favorite charity. In fact, if truth be told, I still like pink. But turning everything pink this month is just not good enough! I want awareness of a different kind and it really has nothing at all to do with pink. The kind of awareness I’m trying to raise is the one about the reality of breast cancer. I’m also trying to raise awareness about where exactly all that money being raked in is going, or rather where it’s not going. So, I’m just going to throw a few questions out there once again. They’re not new questions. They’re not profound questions. They remain unanswered questions. If we have been so successful in the fight against breast cancer, why are there still some 40,000 deaths each year? What kind of success is this? If we have been so successful in our fight against breast cancer, why are more women being diagnosed each year? Shouldn’t there be fewer? Why does there seem to be this tendency to gloss over the seriousness of breast cancer? How many times have you heard someone say, “Well, at least you got the good cancer.” How many times have you heard a celebrity proclaim to be cured because they caught their cancer early? Really? There’s a cure? Why does metastatic breast cancer so often appear to be a “third wheel” amongst all the pink hoopla? Or worse, not represented at all? Why do we focus so little on prevention? And mammograms, by the way though important, are not prevention. When did pink morph into the face of breast cancer, or perhaps the face of cancer period? And the biggest question of all, with all those dollars being raked in during October, no all year, why are more not directed toward research? We have awareness. We need more. We need to start focusing on other things. For example, we need better screening tools. We need better and less harsh treatments. We need to figure out why some cancers metastasize and some do not. We need to learn how to prevent cancer in the first place. We need to further study genetic links. We need to cleanse our environment from known deadly toxins. We need to know a lot more about many things. This October when you’re bombarded with pink ribbons and prompted to support breast cancer by buying a product with a pink ribbon or label, I hope you’ll also think about these questions and ask some of your own. I hope you’ll join me in raising the bar. Find out if all (or any) of your charitable dollars are really going where you think they are. Dig a little. Speak up. Join a discussion. Your actions matter. When the little things each of us do are all tallied up together, sometimes profound things do happen. Do you think bloggers like myself alienate people? Are you affected by pink ribbon marketing tactics? Ahh, yes. And it begins. I was going to boycott pink for the entire month (except when I am at the Avon Walk event on behalf of AOW) and then I decided….. “Hell, I have a captive audience this month” … So, I’m going for shameless. Walking around in my “Fight for Second Base” billboard T whenever it’s appropriate. May try to find something equally billboard-y. People are more inclined to attempt contact in October. And then, I go into my “get the facts straight” diatribe. As long as we can’t beat the sea of pink, I promise…. (does Brinker etal. sue if I use any form of “promise” just curious so I can begin amassing a pro-bono legal team)….. PROMISE to my daughter and everyone who is out of the club and MOSTLY to those living with mets to get the stats out. 40k and no research dollars, prevention is the cure. Survivorship does not mean cured….. Will pick a point or two and speak OUR truth every chance I get…..
Great Info! Can’t remember much and whipping out an index card? I lose a bit (duh) of credibility…. So, I’m picking up the three most important things, getting every fact straight and going right for it. AnneMarie, Sometimes going for shameless is the only way to go! And you’re right, there is a captive audience of sorts this month, so go for it! Thanks for your passionate comments! Wonderful post! Your voice is so needed in the world, and you are making a difference, just by speaking out. Yes, I’m making changes this October. It’s kind of an experiment. Frankly, the pink stuff is getting to me psychologically, so I’m trying to reclaim October as the month that it is — beautiful fall colors and such. I am avoiding grocery stores and TV. In short, I’m going into hiding. I’m getting groceries delivered to me instead of being bombarded at the checkout with pink stuff. Beth, Well, going into hiding; that’s an interesting way to handle things! I think it’s actually pretty smart. I love the idea of getting groceries delivered to the door. Good plan!You really are changing your October behavior! Keep us posted on how it all works out for you. Thanks so much for you kind comment too, Beth. Nancy: Great post, on point! PS: I would much rather be punk’d than pink’d. Renn, Thank you. Punk over pink, hmm… yes! Nancy – great post. Yes, you are right – we do need to be careful not to alienate people about pink. My recent guest post – Pink’s not wrong. It’s just not right enough – asks what if we could turn all the energy into asking the right questions, the right research… then we could end breast cancer… and pink would be right enough. Sarah, Yes, I read that post and I totally agree. Ronnie is so smart! I don’t even mind the pink, I just want more. “Pinking everying” is just not enough is it? Thanks for commenting. I so appreciate the humility in your post. As much as painting the whole world in black and white simplifies things, we lose all that important and complicated meaning and human experience that doesn’t fit neatly with either extreme. I resent all the pink branding and marketing, but at the very same time, I have a mother and sisters who are breast cancer survivors and for whom the pink solidarity has meaning – not the products, but the feelings of solidarity that comes with the “hoopla”. I can’t knock that. And my customers are predominantly women battling cancer. Many of them want pink head scarves, especially in October. Do anti-pink bloggers alienate people? I’m not sure, but I think they/we risk isolating ourselves from the still many women who don’t know breast cancer, don’t think breast cancer and don’t live their lives in response to breast cancer. When reading the anti-pink blogs, I wonder which bloggers had a strong opinion about(or paid any attention to) pink prior to having breast cancer. Susan, I know what you mean, it is a fine line to walk isn’t it? Or at least is sure feels like it at times. I understand about the solidarity thing. I get that too. I just think the whole mission has been side-lined a bit and the true focus lost. And then there is the whole metastatic breast cancer representation, or lack there of, in the pink parade. That’s my biggest gripe. And the lack of dollars sent toward research. Otherwise, I’d probably be fine with all the hoopla. Thanks for your great comments, Susan. Susan’s post says so much of what I want to say. Honestly, I never paid much attention to any ribbon, let alone the pink breast care ribbon, until I was diagnosed. Honestly, I feel embarrassed by that now. How ignorant and uninformed I was, and would I still be ignorant and uninformed if it were not for that quarter-sized tumor in my breast five years ago? Probably, yes. Would I be as compassionate as I (think) I am now? Probably, no. I have to support the pink. I have to believe that if my 21 year-old daughter, who wears pink every day in October, now knows how to do self-exams and encourages her friends to do the same, then maybe the pink is working. I’m not saying that I find anti-pink bloggers wrong-absolutely not. I wish I was as informed as they are, but alas, my pink-colored glasses prevent me from seeing negativity (perhaps because I’ve had enough of that to last a lifetime). I never expected a cure; is that stupid? Probably. Would I love to see one–Hell yeah. But, if just the awareness can save one person, then pink works. For me. Lisa, Thanks for sharing your thoughts on this topic. I agree with you; I’m not opposed to awareness at all. In a nutshell, I want more balance in all areas, more inclusion of the mets community and more breast cancer reality messages. Thank you for this post, Nancy. I’ve been debating whether or not to enter this pink pool and realize I don’t really want to rehash what other bloggers have written about so beautifully. I love that you found a new way to approach October. Your questions are smart and valuable. I’m stealing your post. Stacey, Thank you very much for your encouraging words. I think you should jump in the pool! You always have something worthwhile to add. You really do! And help yourself to my post! It’s there for the taking! ha. Rachel, I’m thrilled to read your comments. Your thoughts and opinions matter a great deal to me. You are the one who opened my eyes to the sad reality about the lack of funding for research and specifically the deplorable lack of attention to metastatic bc research. I don’t think of myself as anti-pink either. I still like pink, even in October! You’re right, what you are, what I am, what we all are, is anti-breast cancer. Somehow breast cancer, the disease, has been swallowed up by breast cancer, the pink ribbon version, if that makes any sense. We all have to keep on questioning until we get the right answers. Thanks again for taking time to comment. I am with Beth about all that I avoid this month. I am with Stacey about not wanting to rehash what others convey better than I.
I was anti pink before cancer. But it became stronger after I was diagnosed with ovarian cancer, caused by BRCA, and had a hard time figuring out what to do next. My anti pink-ness became stronger after I was denied a prophylactic mastectomy due to a lack of understanding from the medical community and I ended up with breast cancer as my second primary cancer. Teal Toes, I understand your feelings. Sometimes it seems so unfair the attention breast cancer gets in comparison to the others doesn’t it? It’s terrible you were denied a prophylactic mastectomy due to a lack of understanding by the medical community and then ended up with another cancer. I can’t believe it! I’m sorry you have had to deal with all that. I’m so glad we’ve connected and I hope to learn more of your story. Thanks for sharing your thoughts. I feel so conflicted by all this. I enjoy seeing pink ribbons and feeling like I’m not alone. At the very same time, it makes me sick because so much seems so superficial. I don’t know, sometimes I think I’ve EARNED the right to buy whatever pink-washed products I want. After all, I’ve travelled through the fire that is breast cancer. AND then, in the next minute it makes me angry because breast cancer is NOT a pretty pink ribbon. As I said, I’m conflicted by it all…this month is so complicated!! Sara, I totally know what you mean about the conflicting feelings, I feel the same way. I understand the desire for solidarity/unity. I want that as well. Like I keep saying, I don’t mind any of the pink or any of the events or any of it really; except for the sexism, the failure to include the mets community and the deplorable amount of dollars that actually make it to research. “Pink” has become more of a marketing tool and I fear many of the pink awareness campaigns add not only too few dollars but also add little meaning or understanding to the discussion about the reality of breast cancer. And of course, you have absolutely earned the right to wear pink, buy pink and do whatever you want “pink.” Thank you so much for sharing your thoughts. I hope to hear from you again! Alana, Thank you for your thoughts. I like pink too… it’s just not enough. I am so glad I found this blog! I just wrote a post about the “pinking of America” on my blog. My maternal grandmother died of breast cancer in the 60’s when all they did was a masectomy and send you home to die. I know that I’m at risk for both breast and ovarian cancer because of this and let me tell you, I’m so sick of all the pink. I work for an ovarian cancer organization, which has little to no awareness, and the breast cancer organizations won’t partner with us bc we can’t give them enough money. I really hate this month because of all the pink and I hate how companies glamorize breast cancer! Amanda, I’m really glad you found my blog too. I understand your frustrations and worries. It’s really sad there can’t be more partnering with the different campaigns. And I agree with you about the “glamorization” of breast cancer. It’s a very odd thing the way this whole breast cancer awareness thing has evolved into something entirely different really than it started out to be. Thank you very much for adding to this discussion. I hope to “see” you back. I also agree with the “glamorization” of BC. It is trendy to have a pink ribbon on whatever you have, or die it pink, or package it with special effects. What I wish we could have for Pinktober instead is research that would provide a better test for BC recurance. 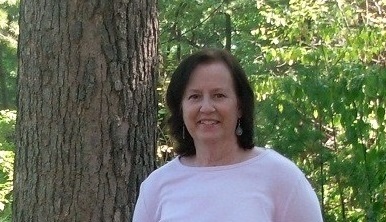 I am a 5 year survivor of stage 3 HER2+ BC with rising CA27.29 test results. Unfortunatly this test causes a lot of anxiety and stress, but no diffinitive answers. Kel, Thank you so much for reading my blog and for sharing your thoughts here. Pinktober does seem a bit trendy doesn’t it? That’s a good way to put it. A better test for BC recurrence would be really something. I’m sorry your particular test results aren’t exactly where you want them to be. I can only imagine your anxiety and stress. Don’t feel too alone, though, none of us have definitive answers about recurrence. We all need more answers don’t we? I’m with you 100%. Turning things pink is just not good enough. Sharon, Thank you very much for commenting and for directing me to your blog post. I’ll check it out. Turning all things pink is just not good enough and more and more people are beginning to realize this. There’s nothing wrong with pink, but we need more. Great post! I, too, have mixed feelings. Partly because I feel the over simplified and selective positive messages misled me into a false feeling of security, that we were winning, that I would not die of metastatic breast cancer like my grandmother, that I would not have to have a mastectomy like my mother. Maybe the key is to encourage people to be careful where they donate, what they buy. Despite all the positive hoopla, I was stage 3 when diagnosed and it has metastasized to my bones. I am currently in remission, but as many people do not understand, that is not the same as cured and I must stay in some kind of treatment for life until they find a cure! 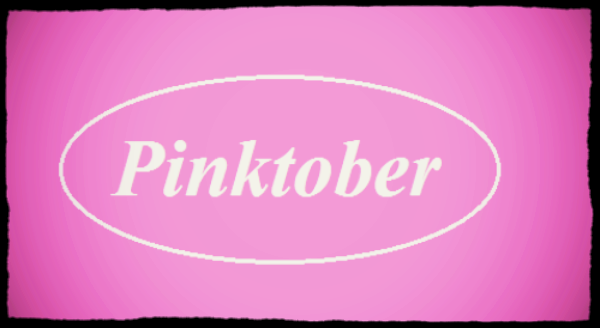 Pinktober – I, too, have mixed feelings. We need to find a way to educate people about metastatic cancer, but I often get the feeling that some of them don’t want to know. Elizabeth, It boggles my mind every year at how little attention metastatic breast cancer gets during October. It makes no sense at all. Perhaps calling it Breast Cancer Education Month would be a good place to start. Sadly, the last sentence in your comment just might be true… Thanks for commenting. Why Does That Uninvited Guest Keep Showing Up?